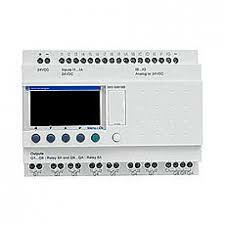 PLC stands for programmable logic controller. 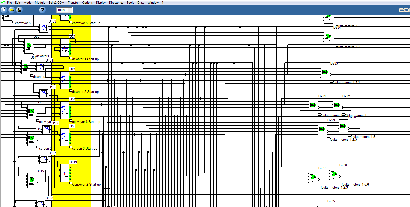 A PLC simply is an electronic component that does nothing until it has been given a program to follow. Once programmed complex procedures and automation procedures can be accomplished by wiring the device into the control circuits. Chris has had many years’ experience writing programs for Zelio smart relays both for himself and for other electricians around the Waikato. PLCs come in a variety of shapes, brands and sizes. The cost vary according to requirements but having tried several kinds I have found that there’s not much you cannot do with a zelio Smart relay. They are a very affordable option starting from around $350.00 up. Some past projects Chris has done over the years include: Summer/Winter swimming pool dosing automatic change over; A program was designed to automate the process of pool dosing through the Summer and Winter. The program adjusted dosing automatically and the time the pumps ran for over these periods. Automated a control sequence for a lock up facility: A console was made up with push buttons to operate solenoid valves on basins, toilets & showers to control the water & limit the amount of time for the showers. Quarry convenor system; 13 motors required an automated start up sequence with time delays on each conveyor motor with a separate shut down sequence. Interlocks were programmed to shut system down in the event of certain occurrences. A Rotary cowshed control system failed leaving the farmer without a working platform. There was no further support for the old system the farmer had soa new complete control system was designed and installed. Effluent systems: Chris has designed many variations of effluent systems with different requirements such as mixer run times and main effluent delays, text message high level alarms green water and farm solenoid valve automation.